We have a backlog of stuff that we’re never going to get to, and what do you know, Life Intervenes(tm) with a vengeance. REUNITED, WILL IT SOUND SO GOOD? 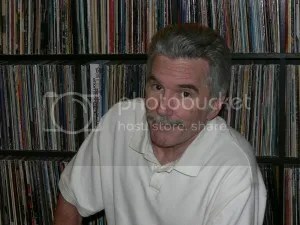 : CBS Radio AC WDOK/102.1 “New 102” has found the man who will replace “Trapper Jack” Elliot, the 17-year morning drive fixture who was shown the We’re Not Renewing Your Contract Door along with 18-year “Infoman” Jim McIntyre last December. And like the co-host he’ll join, “New 102” didn’t have to go far to find him. Like Jen Toohey before him, Tim Richards has been a personality (middays) on sister hot AC WQAL/104.1 “Q104”. WDOK and WQAL used to share digs at One Radio Lane (RIP), but are now squeezed in with “brother” stations sports WKRK/92.3 “The Fan” and classic rock WNCX/98.5 at the Halle Building. And now, Toohey and Richards will be in the same studio at “New 102” as “Jen and Tim in the Morning”. The station publicity notes it’s a reunion for the pair, but it’s not just a radio reunion. As far as we know, that “future” will be strictly professional for “Jen and Tim”, and as far as we know, Toohey is still very much married to Nate Lyons, and has been since November 2010. AND OFF-AIR CHEMISTRY: They don’t host a show together, but two Rubber City Radio Group programmers are going to share a life together. That’s because on Valentine’s Day at the Akron Radio Center, Sue Wilson, country WQMX/94.9’s program director/morning show co-host, got an on-air marriage proposal from a man named Tim… rock WONE/97.5 program director Tim Daugherty. Daugherty called into “Wynn and Wilson” as just a “first time caller, long-time listener” who wanted to ask a woman named Sue to be his valentine. 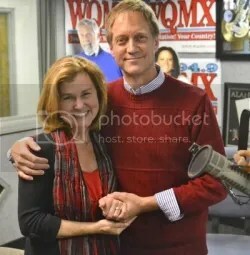 Wilson realized it was her boyfriend Tim on the phone, said yes to that question, and then…Daugherty popped an Even Bigger Question while walking into the WQMX studio, ring in hand…asking Sue to be his “next wife”. She accepted, live on the air, which will put the programming reins of two of the four Rubber City Radio stations in the same family. About that “next wife” line: As the company’s AkronNewsNow website reports, both Wilson and Daugherty are widowed. As long-time OMW readers already know, Sue Wilson was married to former country WSLR/1350 afternoon drive host Phil Cordle, until he passed away after a battle with cancer. We didn’t note it here when it happened, but Daugherty’s wife passed away as well from the same disease. Sue Wilson’s “Voiceover” blog has a touching story about the pair walking for “Stewart’s Caring Place”, a support organization for individuals and families dealing with cancer, in 2011…in honor of Phil Cordle and Donna Daugherty.